Life is full of change and transitions. Change can be exciting but most times it is uncomfortable and scary. Although it may seem difficult, change is inevitable; however, there is Good News! With the right skills and tools, you can find effective ways to navigate through this difficult time in your life successfully! I'm here to help you! I am a Licensed Professional Counselor in Louisiana with over 5 years of experience working as a mental health counselor. I have worked with clients with a wide range of concerns including depression, anxiety, anger management, behavioral issues, relationship issues, parenting problems, ODD and ADHD. My counseling style is warm and collaborative. I believe in treating anyone with respect, sensitivity, and compassion, and I don't believe in stigmatizing labels. My approach combines cognitive-behavioral, Adlerian, humanistic, psychodynamic, interpersonal, and family counseling. I will tailor our dialog and treatment plan to meet your unique and specific needs. No one is a better expert at YOUR LIFE than YOU; my job is to offer you a different perspective in hopes that it will lead you to discover the best path for your life. Shawanda is a great listener and offers excellent advice on the topics I bring up. Would you like to write a review for Shawanda Gayton? 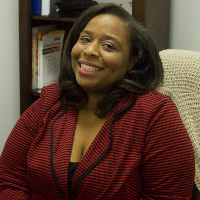 We'd appreciate if you can spend a couple of minutes to write a short review for Shawanda Gayton (M.Ed., LPC). This review would be shared with Shawanda Gayton. It may also be posted in our website or in Shawanda Gayton's profile but it would be anonymous and your identity would be kept completely confidential.